The stock market bores you and standard investment funds are too anonymous for your liking? Looking for a long-term stake in a young local company? 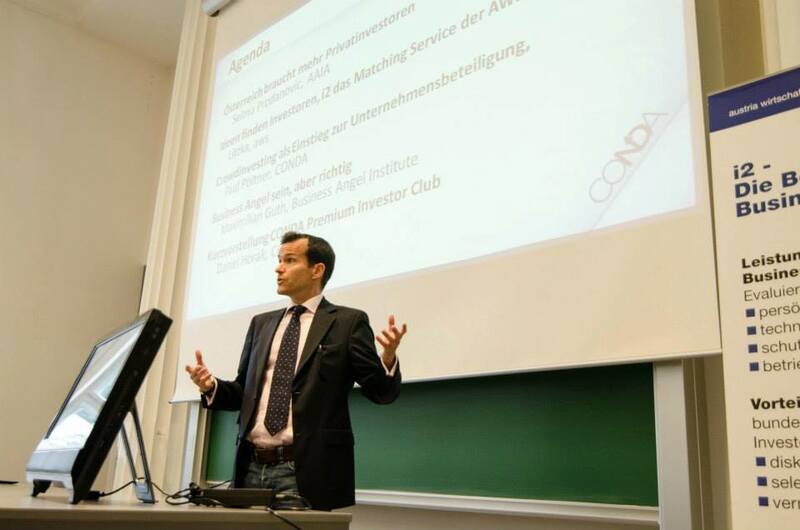 Then this informational event on crowdinvesting in Austria may have been just for you! Organised by the Vienna-based crowdinvesting platform Conda in cooperation with the Business Angels Institute, Austria Wirtschaftsservice (AWS), and the Austrian Angel Investors Association (aaia), the Thursday night reception featured talks by some staple names of the Viennese startup ecosystem and a round of pitches from new companies looking for funding. “The idea with this event was to show more people that there is a startup community in Austria. There will be more to follow, on a regular basis,” said Daniel Horak of Conda. Selma Prodanovic of aaia (see our coverage of this year’s EBAN Business Angel Congress hosted by aaia) talked about the importance of raising public awareness of alternative financing models within Austria, asking the audience to stretch their imagination and think of some yet unlikely what-if scenarios (what if crowdfunding or crowdinvesting had been a possibility for saving Schwedenbomben and Alpine Bau?). 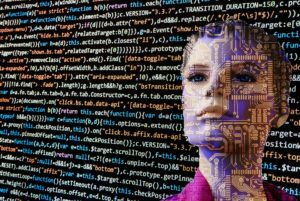 Despite Austria’s traditionally conservative stance to financing innovations, Prodanovic believes serious headway is being made and that events like this are part of the cause. Bernd Litzka of i2 echoed the positive future outlook, noting that only three years ago the idea of business angels was unheard of in Austria. As for the first two contenders on the platform, startups Wohnwagon and Evntogram are both about to reach their respective expiry dates for raising the first round of financing; Wohnwagon is at 50% of its target with just over 35.000 euros raised and 13 more days to go – the deadline was already extended once in mid-June, whereas Evntogram is at 22% with 23 days left. Do the people at Conda think they will make it? “Yes. For sure. We are currently looking at new opportunities for working with a number of investors who want to invest more [than the current maximum sum of] 3.000 euros,” said Horak. In addition to Wohnwagon and Evntogram, another 4 startups seeking financing got to pitch to the audience. Level 12 offers a new system for recording, analysing and projecting climbing moves for indoor rock climbing. See their demo video here. Use Twice is a new collaborative consumption service allowing users to find private lenders online for anything ranging from camcorders to mountain bikes. Senior Pad offers tablet-based homecare solutions for seniors, and is also the winner of the netStart Award 2012. Pixxers offers a new solution to the needle-in-the-haystack problem of the global 17-billion-dollar photo market: “Stop searching, start wishing”, they say. You don’t need to look through thousands of photos anymore to find the one you need, instead you can ask the community to take it for you. A win-win for both photographer and client. 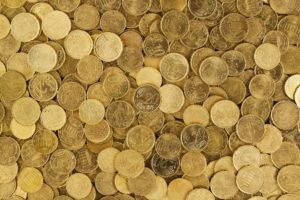 Conda’s next crowdinvesting round is announced for July. 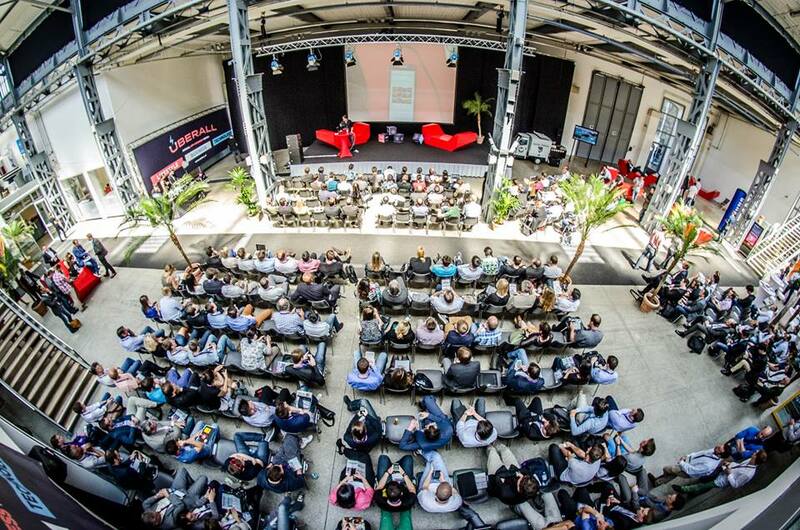 The first-time Überall App Congress took place in Vienna’s Metastadt on 12-13 June, and convened over 800 participants mostly from Austria, Germany and Switzerland, as well as some 50 international speakers. As we put it in our June Agenda, the organisers’ goal was to provide a platform for the developer community to meet fellow app-creators as well as seasoned entrepreneurs, thought leaders, and investors from this field. In cooperation with a multitude of partners (including Google, Microsoft, and Rovio), the event sought to promote the dual slogan “learn from the best” and “let business happen”. 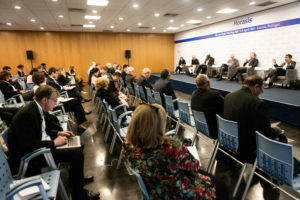 A key feature of the congress was to allow all those interested to schedule one-on-one talks – bookable in advance via the event app – with speakers and with other participants with relevant expertise in business, media, and government. “I think this is a great networking idea, giving people easy access to new insights and expertise”, said one participant. From chatting about app economics with Microsoft Director of Windows Phone Apps Ruud de Jonge to exploring the future of technology with Evelyn Hemmer of the Technology Agency of the City of Vienna (ZIT), the so-called “innovation and future talks” ensured a lively and interdisciplinary dialogue parallel to the panel discussions. The complete list of participating experts is available here. A key speaker at the event was Paul Matthaeus, founder of award-winning US creative agency Digital Kitchen, who spoke about the value of innovative content and consumer engagement in light of the growing importance of earned media, taking the example of DK’s work for the Cosmopolitan hotel in Las Vegas – “a mashup of art, architecture and digital technology”. Other broached topics included the future of HTML5, app store optimisation, augmented reality, and open government data. Alongside the plenarysessions, participants could also choose to attend side-talks, grouped under the three themes “Vision & Strategy”, “Digital Marketing”, and “Shaping the Mobile Future.” The event welcomed a diverse audience and a pool of expert speakers, however, a more balanced male/female ratio – there were only a handful of women speakers – might be something the organisers could better account for next year. For some participants’ reactions to the event, visit its Twitter feed. Initiated by the Austrian crowdfunding platform “1000×1000.at” (a member of the European Crowdfunding Networks), the Clash of the Apps competition introduced the top three app ideas, selected by an expert jury among 94 initial entrants, and to the audience in three-minute pitches. The contenders were Gehörgang (location-based audio guide), PhonicScore (sheet music digitisation), and Story Hunter (story-based travel guide). When Diana first came to Austria in 2007 as a student she faced – like many other Bulgarian emigrants – the “Sperre”; the 7-year ban on access to the domestic labour market imposed on nationals of newly acceded EU member states. She applied for a countless number of jobs, but did not have luck in procuring a green light from the AMS, the Austrian labor market authority. “I had to apply for jobs and I was constantly searching, and the thing was that the companies really wanted to hire me because I had different languages and experiences, but in the end they were confronted with AMS and they always received an Ablehnung [rejection],” says Diana, remembering the frustration of that time. Luckily, in this case, Diana was no stranger to adversity. Growing up in a poor region of Bulgaria, she left home at 13 to attend an elite boarding school and had to support herself by giving English lessons in order to finance the tuition. As a result she knew the value of perseverance and motivation many years later as a young adult. “In the end, circumstances led me to start an IT company called Segments with Ivo, my then to-become husband. Initially, we made websites and [specialised in] SEO.” After Segments was incorporated, Diana and Ivo quickly grew the open-source solutions and online marketing advisory business into a profitable operation. Since merging with the Danish ProPeople Group in 2010, Segments now counts a number of prestigious organisations amongst its clients, including the OSCE and UNICEF. In 2007, Diana and Ivo came up with the idea to launch versichern24.at, an online insurance aggregator and comparison website. At first, people were skeptical and emphasised the traditional relationship element that came with a system of local family insurance advisors. 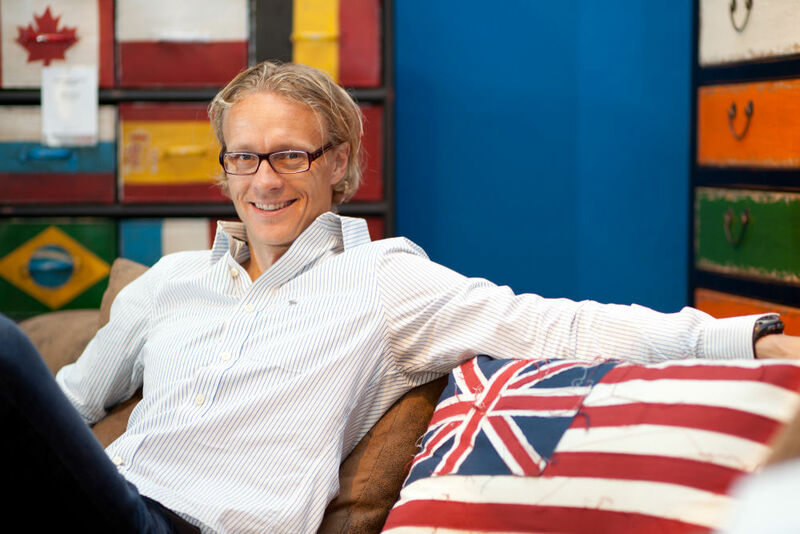 As Diana recalls, when she and Ivo first presented the model to potential investors and partners, many said, “no one in Austria is going to sign anything online, especially in insurance”. Unable to qualify for a loan, the project continued to face negative reactions and remained unprofitable for a number of years, but co-founder Diana continued to work towards its eventual take-off: “Because we believed the project had a future, to make the [insurance] market transparent. There was nothing like that before in Austria”, says Diana. Versichern24 grew rapidly and is now the leading insurance aggregator in Austria, with 15 employees and a 100m2 office in Vienna. The site has upwards of 1500 daily unique visitors. The break-even for the company came three years later after foundation in 2010. The many evenings and weekends – as well as income gained through Segments – spent on developing the website had finally paid off. Both Diana and Ivo are now certified insurance brokers, and Diana is also studying towards the prestigious CEMS Master in International Management at the WU (Vienna University of Economics and Business). 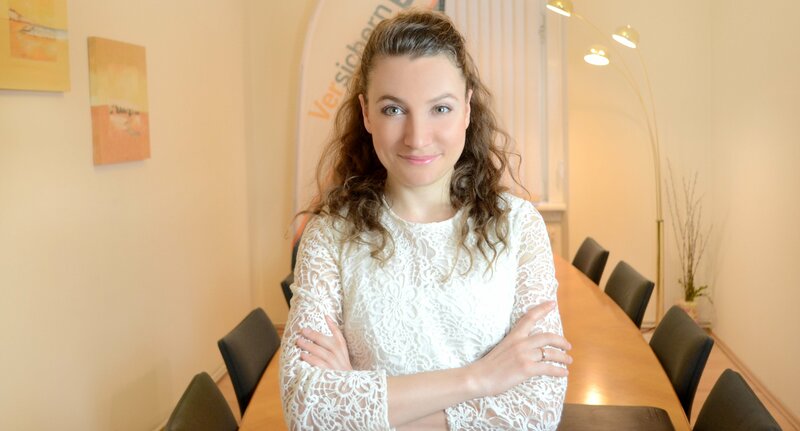 Following the success of versichern24, Diana co-founded stromgas24.at with her husband and in collaboration with E-Control, the Austrian energy market regulatory authority in 2012. 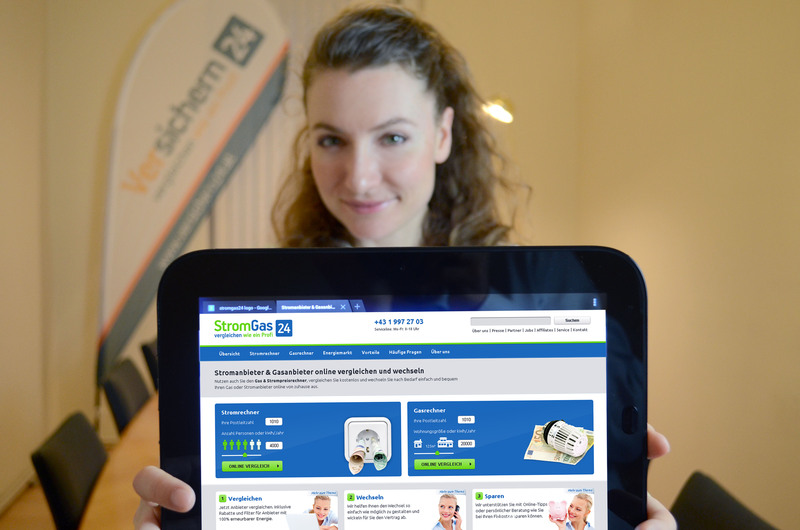 The website works on a similar principle as versichern24, except that it offers consumers price comparisons of all electricity and gas providers in Austria, and also the possibility to switch providers easily online for free. Diana hopes that stromgas24 will spur change in people’s energy habits: “Only 1.1% of Austrians changed their electricity provider in 2012”, she explains. “Many end consumers are unaware that the energy costs for households are higher than those for industry and that they are in fact paying for a large part of the renewable energy subsidies provided by the Austrian state. If the switch rate increases, energy suppliers will be challenged to lower the prices for [end] consumers,” argues Diana. Like with most young companies, a flexible structure is a sine qua non for Diana’s startups. “Some people work from home. We still meet twice a week in the office, but most other meetings we conduct via Skype or our internal VoIP. 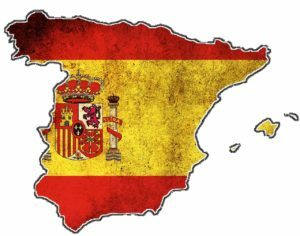 We have a developer in Spain, for example, on the Canary Islands and I never actually met him in person. Our designer is based in Bulgaria. We organise a lot of events that… promote the open-source system that our websites are based on, Drupal. Through these events wehave such a huge network across Europe”, says Diana when asked about her employees. Diana and Ivo also host yearly “Drupal Camps” in Bulgaria, the first of which attracted over 200 participants. In March 2013, Diana joined the ranks of Selma Prodanović and other prominent Austrian business women of a migrant background by being awarded the MiA in the category of Business and Economics. For Diana, this is more than just an accolade; it’s a responsibility. “When I read about the success of other people, I get motivated. I decided I can maybe tell my story, in order to motivate others. There is a huge demand for migrant and women founders in Austria”, says Diana.She also believes that ““entrepreneurship has no gender,” as she commented at the EBAN congress in Vienna. Since then, Diana has taken this responsibility seriously. She continues to encourage others – especially girls and young women – to consider entrepreneurship as a career option. “A few weeks ago, I organised the so-called Wiener Töchtertag [Daughter’s Day] at my office. I invited girls from two schools, and I talked to them about what entrepreneurship is and what it’s like to work in a startup company.” Diana’s sense of giving back was alive already before the MiA or any other outward praise was on the horizon. Since a couple of years, she has been helping her old primary school in Bulgaria build up a website and online presence, while also organising tutorials and workshops for teachers so as to enhance the role played by technology in often outdated curricula. Any words of advice to fellow startuppers? Diana says: “Principally, I think you should focus on one thing, and envision your business future on a daily basis.” And, above all, don’t waste time. You are working on developing an eco-friendly hotel startup. How did the idea first come about? As a THL [tourism-hospitality-leisure] professional, how do you view new types of competition from the growing number of home-rental sites such as Airbnb? Aside to your consulting business, you host inspirational talks and panels on the THL industry and other subject areas. How did that happen? Aside from being a Distinguished Toast Master, you also trained with the Al Gore Climate Reality Project to become an advocate for climate change mitigation. How does sustainability factor into your business ethics? You’re also currently training for your second take of Ironman Austria. What inspired you to go for it?